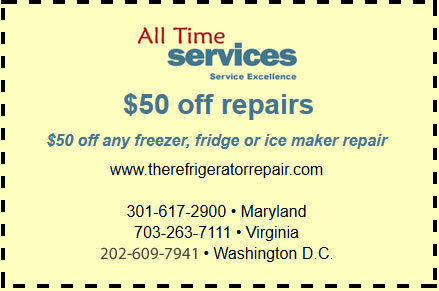 CALL US NOW IF YOU ARE HAVING ISSUES WITH YOUR KENMORE REFRIGERATOR! We are open 24/7. It’s hard to imagine modern day life without a refrigerator in your home. We’ve come to depend on and take for granted the convenience of readily available milk, juice and fresh meat in our homes. That’s why it’s so crucial that you take note of any issues with your Kenmore refrigerator at their earliest stages so you can get them repaired quickly. Better to address minor, inexpensive problems early than to wait until the fridge complete breaks down and needs to be replaced. When it comes to your Kenmore refrigerator, a good rule of thumb is that anything that seems wrong or that interrupts proper operation of your unit warrants a call for professional service. So, if your Kenmore refrigerator isn’t getting enough cooling power from the compressor, the motor is making funny noises or you see little puddles around the base of your fridge regularly, it’s definitely time to call someone. More problems to keep an eye open for include food freezing in the refrigerator, excess frost or icing in the freezer unit, and doors not sealing properly due to missing spacers or broken door gaskets. These are all problems your contractor can fix relatively easily if caught early enough. And it’s okay if you’re at all unsure about what is wrong with your Kenmore refrigerator because our technicians are experts at diagnosing difficult issues. If your refrigerator is starting to act up or is exhibiting any of the symptoms listed above, it’s time to call in a professional. The faster you act, the more likely you’ll be able to fix and keep using your Kenmore refrigerator without interruption. 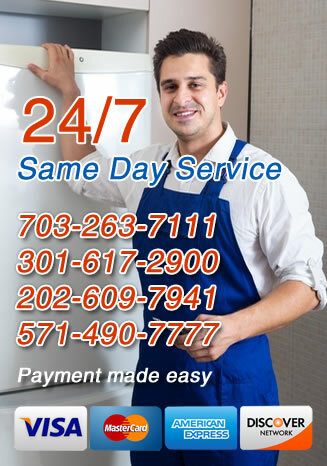 For Kenmore refrigerator repair services in Arlington, Virginia, Gaithersburg, MD and the washington DC surrounding areas, call All Time Services today.